Firm Overview | Nationwide Consulting Company, Inc. The secret of success is to do the common things uncommonly well. 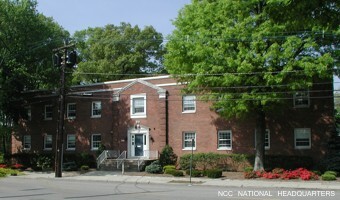 The year was 1977 – With a small group of professionals, Nationwide Consulting Company was formed. Initially, the company focused on real estate and personal property tax reduction services for both local and national clients. In 1979, the firm expanded into property appraisal services with concentrations in real estate, machinery and equipment valuations. Work was property tax related, but also included bank financing, corporate portfolio review, condemnation, insurance and other related avenues. Our professionals share a common passion for performing services that others can’t do, won’t do or are afraid to do. Over the next 30 years, the firm grew through additional professionals and support staff personnel. Our corporate offices are located in Glen Rock, New Jersey with satellite offices located throughout the country. Our organization has completed valuation and consulting assignments in all 50 states, the Caribbean, Canada, Europe, Singapore, Australia and Guam. We maintain a database which contains thousands of sales and offerings of properties both locally and nationally. We have provided valuation and consulting services for major corporations, such as GE, Wal-Mart, Exxon Mobil, Johnson & Johnson, Public Storage, Merck, as well as countless valuation and consulting assignments for individual property owners. We are one of the only valuation and consulting companies which owns and operates a brokerage company that specializes in the buying, selling and leasing of assets on a national and international level.